The LP3BP Manokwari [an Institute for Research, Recognition and Development of Legal Aid that provides judicial services to Papuan people] urges the National Human Rights Commission of Indonesia, as well as the UN Human Rights Council, to investigate and put on the agenda the maltreatment and torture of two men aged 20 and 25 by members of the Indonesian police. Speaking as a human rights defender working in the Land of Papua, I urge the National Human Rights Commission (Komnas HAM) in Jakarta to immediately investigate the maltreatment and torture by members of the Indonesian police of Yali Wenda (20) and Alvares Kapissa (25) on 2 April . Such actions are regarded as being grave human rights violations as stated in Article 9 (f) of Law 26/2000 on Human Rights Courts and the most serious form of human rights violations according to the Convention Against Torture and Other Cruel, Inhuman and Degrading Treatment. As a recipient of the John Humphreys Freedom Award 2005 in Canada, I call on the UN Human Rights Council in Geneva to place this case of treatment of the two students both of whom are civilians on its agenda for discussion and the adoption of a resolution regarding the government of Indonesia in its session in May of 2014. 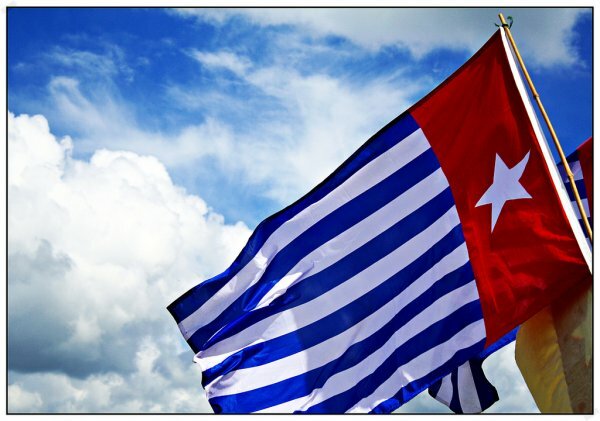 The Secretary General of the United Nations should also press the Indonesian government to allow his Special Representative on Maltreatment and Torture to enter the Land of Papua in order to ensure that this case is handled transparently and in accordance with the mechanisms and principles of international law. As Executive Director of the LP3BH Manokwari [an Institute for Research, Recognition and Development of Legal Aid that provides judicial services to Papuan people], I call on the international community, in particular the governments of the members of the European Union to review the bilateral accords on co-operation which they have entered into with Indonesia, in the context of developmental activity in the Land of Papua. Respect for human rights is regarded as the foremost feature of law in any bilateral accord between state members of the European Union and other countries such as Australia, Canada, the United States of America, New Zealand and Japan and Indonesia. The LP3BH also urges the Government of Indonesia to give unfettered access to the Land of Papua to Amnesty International, Human Rights Watch and the International Crisis Group to investigate the current state of human rights in the Land of Papua and what may happen there in the future.